Leading local agent DNG Maxwell Heaslip & Leonard is gearing up for its penultimate auctions of 2014, which will take place in the Radisson Blu Hotel tomorrow, November 21, at 3pm. With the confirmation in Budget 2015 that the tax breaks for investors who acquire an investment property and keep it for seven years will expire at year end, investors are keen to avail of this incentive while they still can. Heaslip confirmed the interest of those eager to get a foot on the ladder: “First time buyers are another group of buyers who are very active at the moment and appear keen to purchase before year end. Again we have a number of properties ideally suited to first time buyers in the November auction.”Tomorrow’s auctions will see 18 lots in total come to the auction floor and again interest in the lots is expected to be high as the property market shows increasing signs of recovery. No 41 Tara Grove is a four bedroom semidetached residence located in Wellpark, a popular area within walking distance of Eyre Square. Bright and spacious and overlooking a green area, this fine property is in need of some upgrading but offers huge potential. This property is located close to GMIT, Parkmore, and Ballybrit industrial estates, making it an excellent investment opportunity. However the Tara Grove development has also always been popular with owner occupiers. This property is guiding an AMV of €190,000 and the solicitor with carriage of sale is Sheenagh McCarthy, FG MacCarthy solicitors, Dunkellin Street, Loughrea. No 129 Gort na Coiribe, Headford Road, is a four bed mid-terrace duplex townhouse in a much sought after development close to NUIG. Built by O'Malley’s, the property is completed to the highest standards, with extensive tiling and wood floors throughout. In excellent condition, this spacious investment property sleeps five and is currently privately rented (with the option to join the existing pooled rent scheme ), generating an excellent net rental yield. This is an ideal opportunity to acquire a top class rental property. The property is guiding an AMV of €190,000 and the solicitor with carriage of sale is Sheenagh McCarthy, FG MacCarthy solicitors, Dunkellin Street, Loughrea. Remaining on the Headford Road, No 64 Dun na Coiribe is a large, first floor, two bed, apartment in excellent condition. Dun na Coiribe is located on the Headford Road, with all amenities on its doorstep including Dunne’s Stores, Tesco, cinema, bus stop, NUIG, and church, and Galway city centre is only an eight minutes walk. The apartment consists of two spacious double bedrooms (master en suite ) with fitted wardrobes, fully tiled bathroom, kitchen, sitting room, and private balcony. 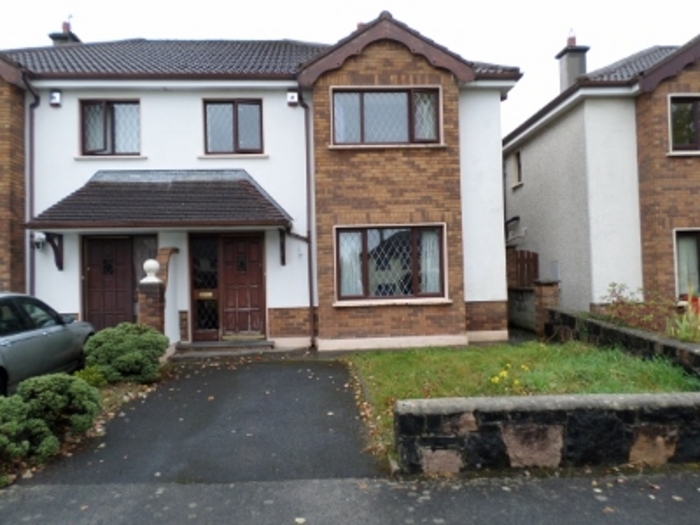 Moving to Knocknacarra, No 11 Windfield Gardens is a four bedroom semidetached residence in an excellent location on the Clybaun Road, close to schools, shops, and all amenities. With 1,200sq ft of living space this property boasts a high quality finish throughout with a wonderful rear garden and private parking. This area is highly sought after and No 11 overlooks a green area. The attic is floored and includes a Velux window and is accessed by a Stira stairs. No 11 is within walking distance of all amenities and just 10 minutes from Galway city centre. The AMV is €240,000 and the solicitor with carriage of sale is Dermot Kilfeather, Kilfeather & Co solicitors, Quay Street, Galway. Moving to County Galway and to Attygara, Portumna, this detached home extends to c205sq m and sits on large site of 0.75 acre. This property is located less than one mile to Portumna town centre. With underfloor heating on both floor levels, this residence has also been insulated to a high standard offering a quality, comfortable, home in a most convenient location. This spacious property features a sitting room, kitchen, dining room, breakfast room, office/study, and four bedrooms. The property guides an AMV of €190,000 and the solicitor with carriage of sale is Brian Maloney, Brian Maloney solicitors, 6 O'Curry Street, Limerick. Viewings are by appointment with the selling agents. No 147 Rosan Glas in Rahoon is a spacious four bedroom property in a lovely suburban estate just a short distance from Galway city centre, NUI Galway, and University Hospital Galway. Built in 2006 by O’Malley Construction to a high specification, No 147 is a perfect investment or owner occupier buy. Four bedrooms, three of which are en suite, a living room with open fire, and kitchen/diner with patio doors to the rear garden all add to the appeal of this house. The property has common parking for residents and guides an AMV of €190,000. The solicitor with carriage of sale is Peter Crowley, CP Crowley & Co solicitors, Augustine House, Merchants Road, Galway. Staying in Rahoon, No 43 Cruachan Park is a detached, four bedroom, home in a mature estate close to Galway city centre. Located midway between NUIG and Salthill, this area has an abundance of services and amenities close by. Schools, shops, and sport facilities are a short walk away as are public transport facilities. With 135sq m of living space including an integrated garage, this is an ideal opportunity to remodel a family home to your own requirements. The AMV is €220,000 and the solicitor with carriage of sale is Pat Sheehan, Sheehan & Co solicitors, Augustine Court, Augustine Street, Galway, phone 091 895250. Located in Tuam, Co Galway, are Nos 35 and 36 Cois na hAbhainn, two four bedroom detached homes in need of completion in a mature residential area close to Tuam town centre. With a floor area of 135sq m the houses have been laid out to accommodate four bedrooms, one en suite, a spacious kitchen diner and utility, and a family room with open fire. The properties have been completed to second fix level with some plumbing and internal carpentry required. Externally the grounds require landscaping. The AMV for each property is €85,000 and the solicitor with carriage of sale is Emma Scott, Baily Homan Smith McVeigh solicitors, 7 Harcourt Terrace, Dublin 2. Next is an excellent investment opportunity to purchase four two-bedroom apartments in one lot. Bealach na Gaoithe is a residential estate on the Galway Road, Tuam, completed in the past eight years to a high standard. The four units are completed with an estimated rental value of €17,250 per annum. Each apartment has own door access at ground level opening to a hall with stairs to first floor accommodation of 600sq ft. Each is spacious with an open plan kitchen/dining, bathroom, and two double bedrooms. The block has shared parking both front and rear. The AMV for the four units is €140,000 and the solicitor with carriage of sale is Karina Doyle, Lewis C Doyle solicitors, Augustine Court, St Augustine Street, Galway. No 24 Beechwood Park in Ballybane is a perfect starter home just off the Ballybane Road. The house is close to GMIT and Ballybrit Industrial Park with excellent schools, shops, and sports facilities located nearby. With 90sq m of living space this is a semidetached bungalow that requires some modernisation and will make a perfect family home or investment property. This property has off street parking with gardens front and rear which are not overlooked. The AMV is €190,000 and the solicitor with carriage of sale is Michael Molloy, Blake & Kenny solicitors, St Francis Street, Galway. Located on Inis Meain, Oileain Arainn, is a plot of land for sale. This is a former desalination plant on a site comprising c0.32 acre. The sale also includes a parcel of land of c0.06 acre nearby. The AMV is €10,000 and the solicitor with carriage of sale is Catherine O'Driscoll, Denis I Finn solicitors, 5 Lower Hatch Street, Dublin 2. Full details are available from the selling agents. Next up is a city centre property at No 4/5 Market Street, Galway. This is an exceptional opportunity to acquire a city centre property, with tremendous redevelopment potential. Market Street in the heart of Galway city is a busy thoroughfare and is adjacent to Shop Street. Numbers 4 and 5 are adjacent mid terrace properties which formerly contained a family home and a manufacturing facility which is in need of total refurbishment. Over four floors, the property has a gross built area of c350sq m with a site area of c136sq m.
Zoned CC for city centre uses, the properties are listed as protected structures by Galway City Council. Guiding an AMV of €150,000, the solicitor with carriage of sale is Nuala Ford, Ford & Associates, Augustine Court, St Augustine Street, Galway. Located in Ballyhaunis, Co Mayo, is a landmark premises at Clare Street. Formerly a bar and night club (Monsoon Night Club ), the property is in need of some refurbishment but has development potential. Comprising approximately 650sq m, the property is on a site which is in the region of 0.27 acre and is close to all amenities. The AMV for this property is €80,000 and the solicitor with carriage of sale is Brendan Dillon, Dillon solicitors, Unit A1 Nutgrove Office Park, Rathfarnham, Dublin 14. Upper James Street, Westport, Co Mayo, is the location for this mid-terrace office/retail premises in the centre of Westport town. Being offered to the market with the benefit of 145sq m of space over three floors, the property is well presented with tenants in place (not affected ). Suitable for a variety of uses, this commercial premises is adjacent to the town centre with a busy footfall and plenty of passing traffic. This is an excellent opportunity to acquire a keenly priced investment property in one of the west of Ireland's most important regional towns. The AMV is €100,000 and the solicitor with carriage of sale is Dermot Kilfeather, Kilfeather & Co, Quay Street, Galway. Unit 3 Ballybrit Industrial Estate, Upper Monivea Road, Galway is a ground floor commercial unit located in a busy industrial estate. The AMV for this property is €70,000. The solicitor with carriage of sale is John Nash, John Nash solicitors, Abbey Street, Loughrea. Units 5/6 Oranmore Business Park is a commercial investment property comprising 1,110sq m on ground level at Oranmore Business Park, on the eastern outskirts of Galway city and adjacent to Oranmore and the N6 motorway. The property forms part of a larger mixed use commercial park with bulk retail, light industrial, and office use adjacent. The property is leased from 2006 for a 20 year period at a current passing rent of €36,000pa. Tenants are unaffected by the sale. The solicitor with carriage of sale is Pat Sheehan, Sheehan & Co solicitors, Augustine Court, St Augustine Street, Galway, and the AMV is €420,000. Full information on all properties can be found at www.dnggalway.ie or by contacting the selling agents on 091 565261. The auctions take place tomorrow at 3pm in the Radisson Blu hotel Lough Atalia and can be viewed live online on www.dnggalway.ie or www.advertiser.ie .